Wellington Zoo‘s Close Encounters exhibition is about getting face to face with an animal. Advertising agency Saatchi & Saatchi had the challenge of inspiring newspaper readers to connect with the exhibition. 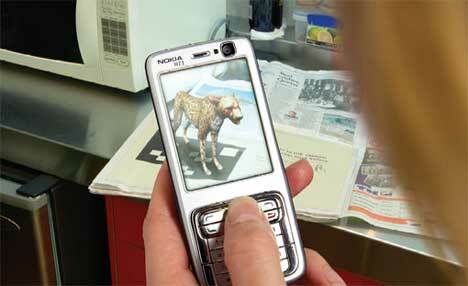 In partnership with Hit Lab NZ, a human/computer interface research centre, software was developed to present ‘augment reality’ in which pictures could be interacted with on a mobile phone. The software was made available to mobile phones with live video capability. 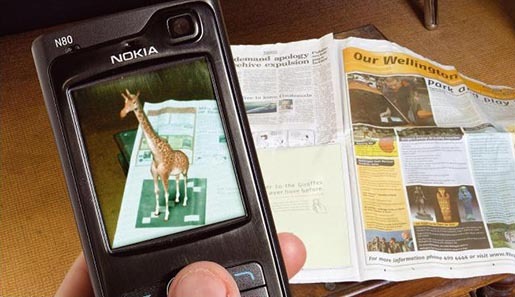 Mobile phone users point their phones at the printed box to see a 3D model of a giraffe, cheetah or Malayan sun bear – all animals that can be seen at the zoo. The ad, placed in a major newspaper, reached 750,000 people, leading to a 32% growth in visitors at Wellington Zoo. 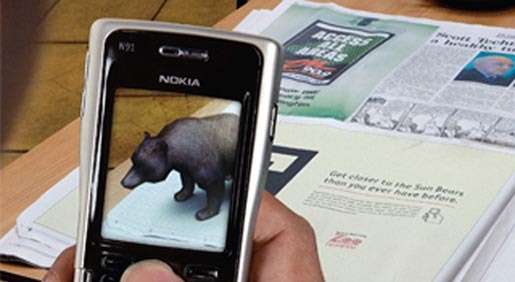 The Augmented Reality campaign was developed at Saatchi & Saatchi NZ, Auckland, by executive creative directors Mike O’Sullivan, interactive creative director Brian Merrifield, creatives Tim Huse, Hywel James, Debs Gerrard, Dave Mygind, interactive producer Farah Iqbal, in-situ photographer Mat Baker, account director Elaine Bickell, account manager Hadleigh Churchill. The augmented reality technology was developed at Hitlab New Zealand and The Hyperfactory.